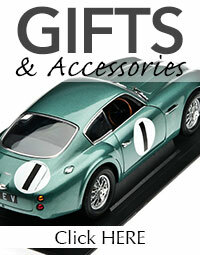 Free shipping is included on all orders to the UK over £20.00. A shipping quote will be given for other areas during the checkout process. 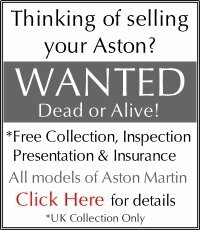 Please Note : Genuine Aston Martin non heritage parts - we CANNOT ship outside of the EU.Any such orders placed will be cancelled and refunded.If you are based outside of the EU and would like to order any Genuine Non heritage items you should contact your local Aston Martin Dealer. Non Heritage parts are classed as any parts for 2003 models onwards. This restriction does not apply for any non genuine items , if you are unsure please contact us for clarification before you place your order. Where there is a charge for delivery we make every effort to keep it as low as possible. Charges are calculated on size and weight of product once packed ready for despatch and also vary depending on country to be delivered to.The applicable standard delivery charge is shown at the checkout stage . You will always be able to see all applicable charges before submitting your order. In all other cases set out below, delivery times are calculated in working days i.e. Monday to Friday inclusive but excluding Bank Holidays. If you order after 3pm, please calculate your delivery time as if your order had been placed the following working day. For delivery on the next weekday (if available), please order & pay for your item/s before 10am. If we are sending your product by courier, our "Order Confirmation" email to you will contain a link to the courier's website, and a parcel number, so that you can track your order right to your doorstep(uk only). Standard courier deliveries are usually made between 9am and 5pm(uk). All deliveries must be signed for. If you are out when the courier arrives, the courier will leave a card with a contact number for you to call.